Total student loan debt in the United States is greater than $1.4 Trillion and over 44 million Americans have student loan debt. However, not all Americans are aware of the structure & terms of student debt. Thus, Americans often do not pay back student loans in the most effective way, which can cost them thousands of dollars in interest over the duration of their loans. 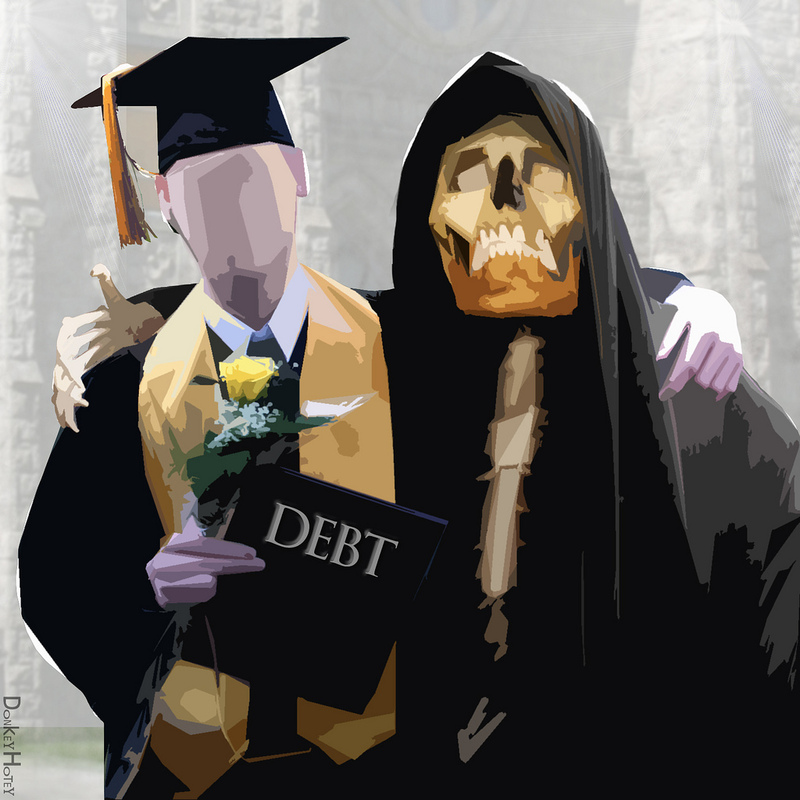 Last year, the average college graduate left college with approximately $35,000 in student debt. However, this total is not just one student loan. More likely than not, this total is the sum of several different student loans that the student took out during each semester of college. Why is it important to recognize that most Americans have several different student loans, instead of just one giant loan? Because each individual student loan has its own balance and interest rate. Some loans can be more costly than others and must be paid down first to save as much money as possible. So, what is the crucial mistake you must avoid? Do not try to pay down all of your student loans at the same exact time, if your student loans have different interest rates and balances. There are two accepted repayment strategies in the student loan community. The first is the snowball method and the second is the avalanche method. With the snowball method, you pay down the loan with the lowest balance first, then move to the loan with the second lowest balance. With the avalanche method, you pay down the loan that has the highest interest rate first. What you do not want to do is pay down all of your loans with minimum payments each month, because all student loans are not created equal. You should instead focus on one loan at a time, either the loan with the lowest balance or the loan with the highest interest rate. So, what actions can I do to avoid this mistake and save as much time and money as possible? Go online to your student loan servicer website. Analyze your existing loans and figure out (i) which loan has the highest interest rate and (ii) which loan has the lowest balance. It is then up to you to decide if you want to pay off (i) or (ii) first. Either way, directing your payments to one loan at a time will save you much more money over the long run of your loans. Follow this strategy and pay off one loan at a time, until you are debt free. The downside of this strategy is you must go online each month and manually make a payment, which uses your time. Read this article by the Consumer Financial Protection Bureau. This is crucial if you are paying student loans via auto-debit, or else you may never actually see your student loan balance go down, and you will be stuck in debt forever. Don’t be stuck in debt forever. Instead, be smart and utilize the snowball or avalanche method, to expedite your journey to financial freedom. For more information on student loan repayment success, listen to the Back’Em team’s podcast on Student Loans, or email Connect@Backem.co for a free consultation on formulating your personal student debt repayment strategy.